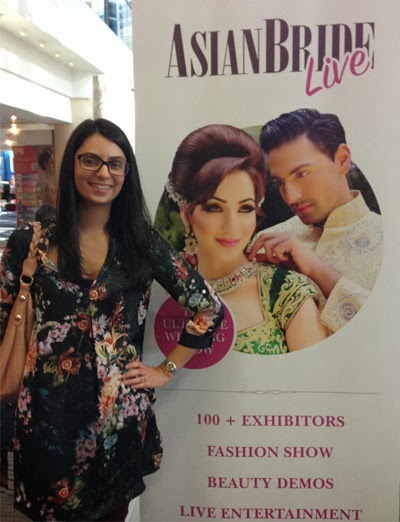 The ICC in Birmingham hosted the Asian Bride Live show today and I was lucky enough to be invited by the Asian Bride Magazine team to attend. I had a front-row seat for the catwalk and took over 400 photos! 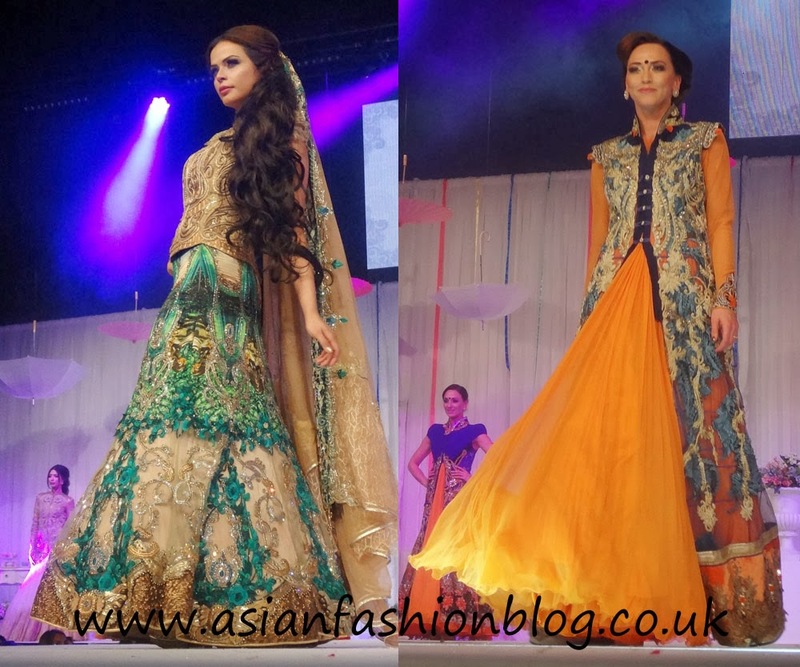 I'll be posting a full write up all of the outfits I saw at the show, but in the meantime, here's a first look at some of my favourite outfits from each designer. 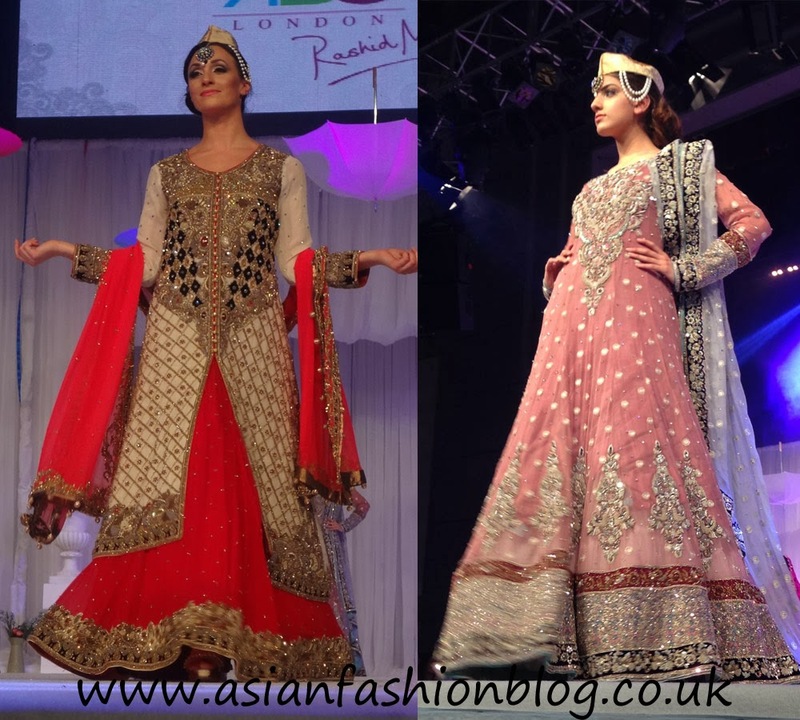 Bibi London showcased their collection of named designer outfits including Shyamal and Bhumika. 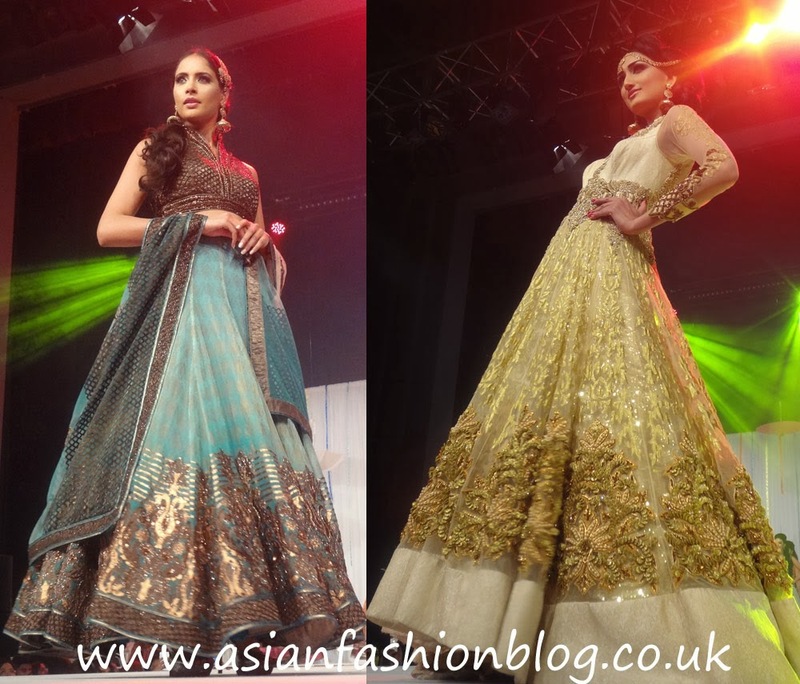 I loved these two floor-length anarkali-style dresses. 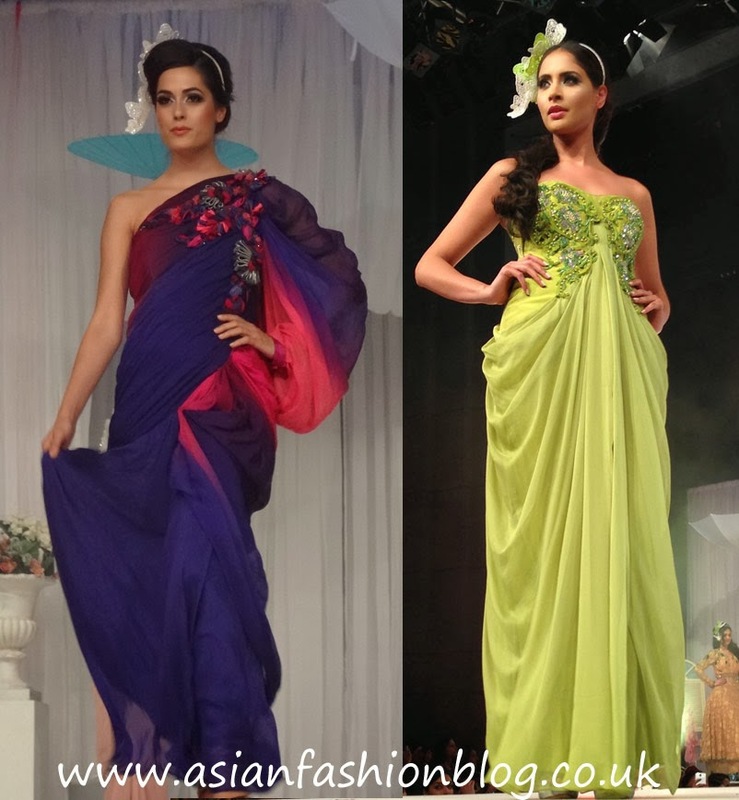 I liked the draping fabric style in the outfits from Chic Couture and this green colour has such a spring/summer wedding feel to it. The female models in this segment wore some very dramatic eye masks. 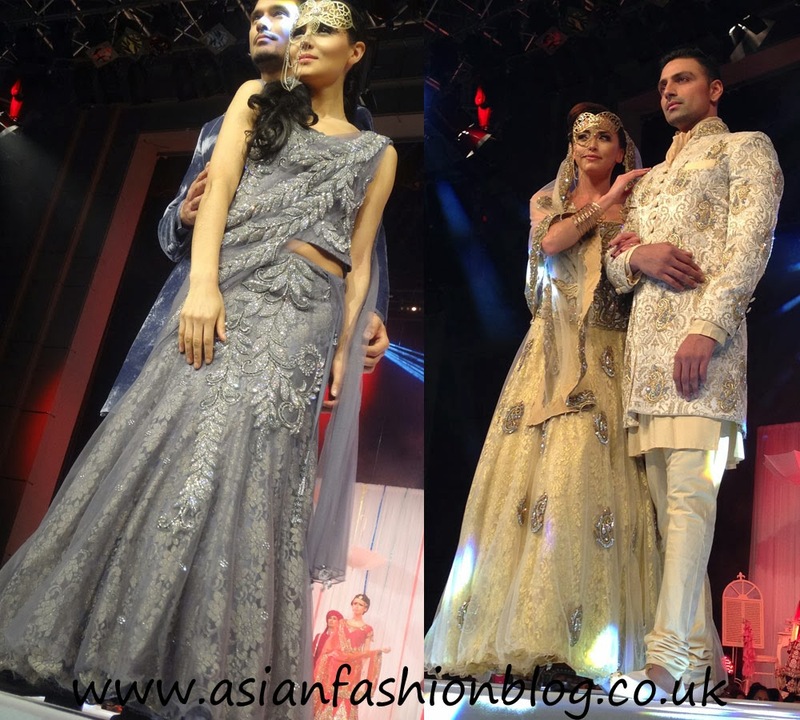 They had co-ordinating groomswear and bridalwear - I really liked the grey. 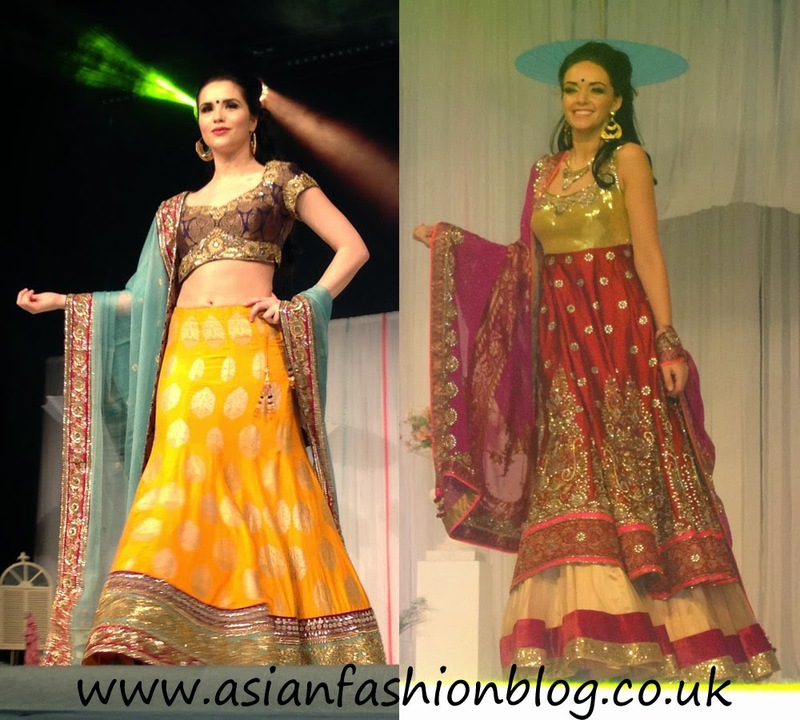 I picked these two outfits from Kajal's collection because I love how the orange colour shines through - a great lesson in how to wear orange and what colours to match it with. The majority of Sache's collection were red, so this salmon and blue outfit really stood out. 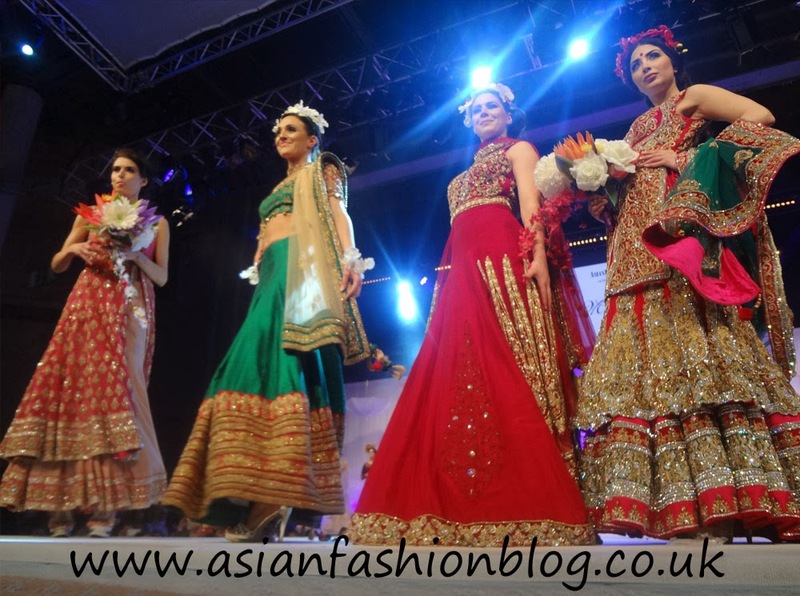 This part of the catwalk show was to showcase the hairstyling talents of Uzma Rafiq. 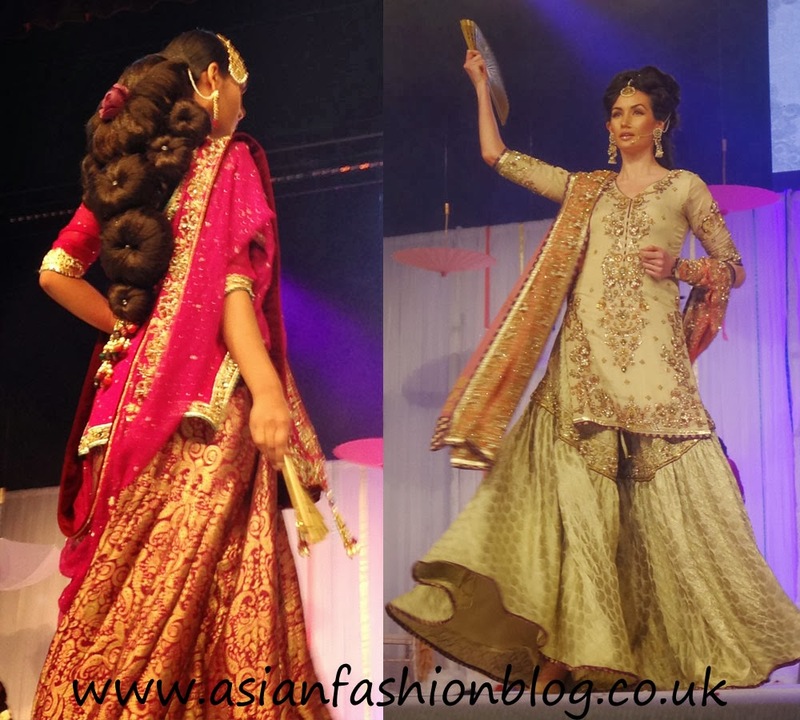 As well as the dramatic hair styles, the outfits were provided by Mehzabeen. 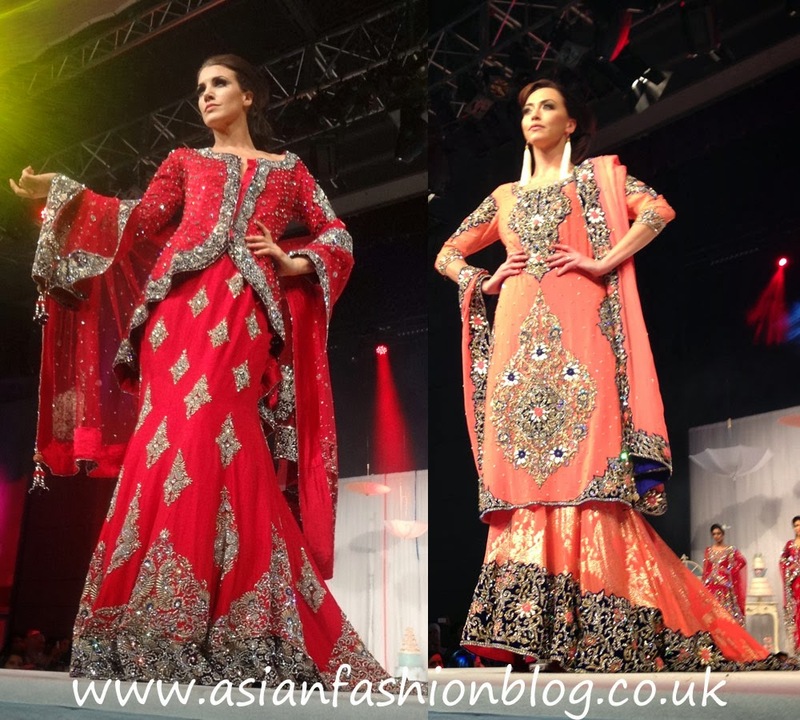 One of my favourite collections on the catwalk, these outfits are really something different. I know they won't be to everyone's taste, but I really like the look and textures to these. As well as these heavy outfits, RDC also had what looked to me like a very "plain" bridal outfit - I'm talking very little embroidery! 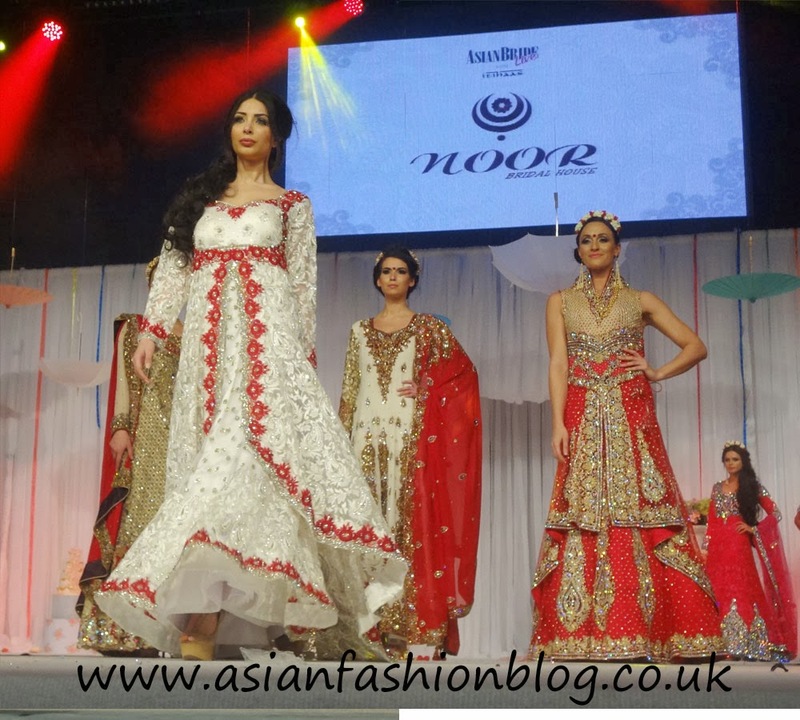 I liked that they showcased this on a bridal catwalk because not every bride wants bling. 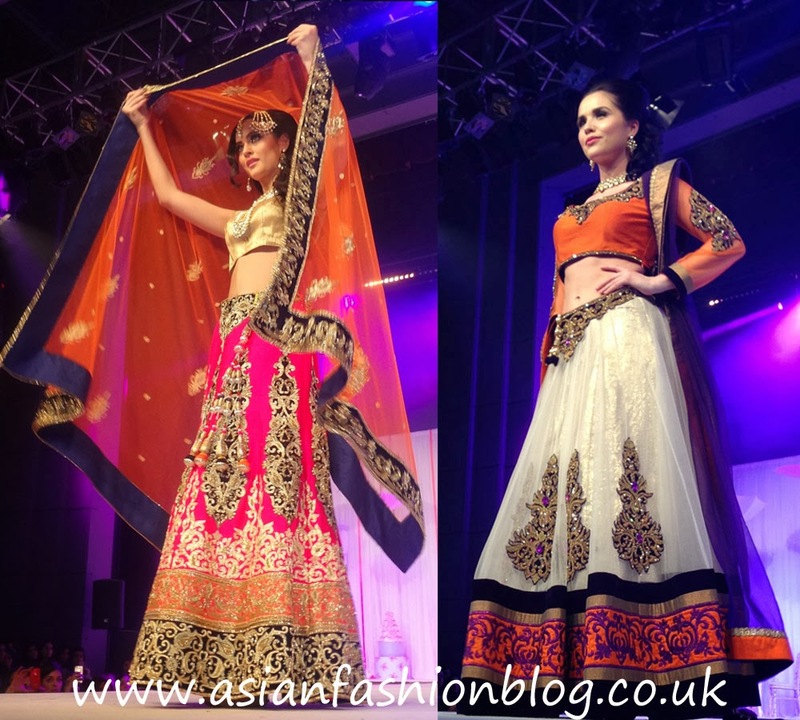 Did you attend the Asian Bride Live show? 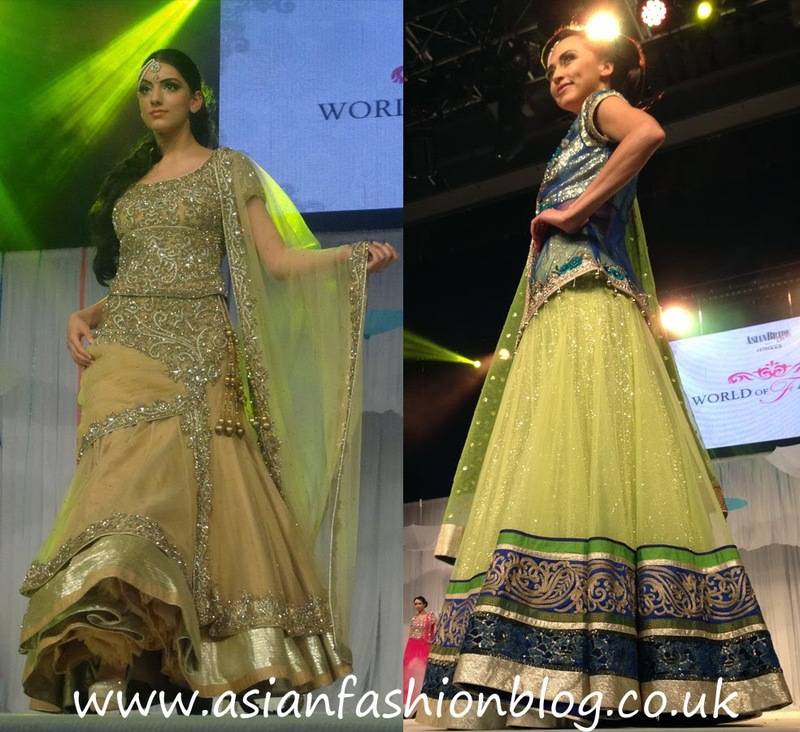 What did you think of the fashion on show at the event?